GitHub - kbentlage/da-ssh-key-management: DirectAdmin plugin for managing user's SSH public keys. DirectAdmin plugin for managing user's SSH public keys. Want to be notified of new releases in kbentlage/da-ssh-key-management? Welcome to this repository of an unofficial DirectAdmin plugin for managing SSH keys. 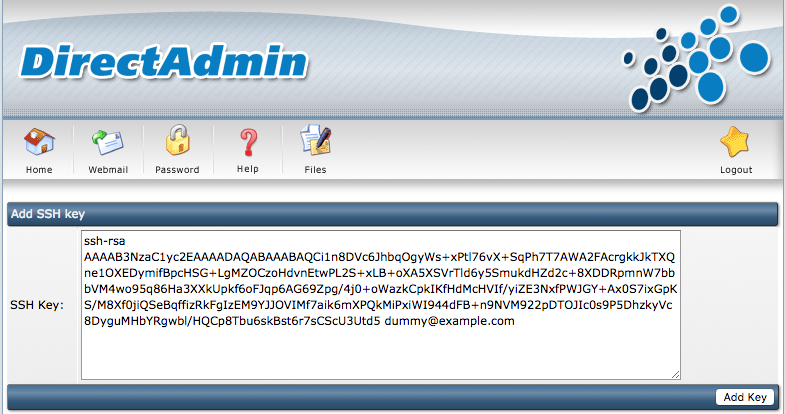 With this plugin end-users on an DirectAdmin server can easliy add and remove their public SSH key(s) to their user. The problem with DirectAdmin is that users can only logon to SSH with a plain-text password, something we don't want at all. Previously we managed the SSH-keys for customers manually which was a time-consuming job. So I decided to create this plugin for it, so users can do this by themselves. I developed and used this plugin for over a year now on our own servers, but I decided to release it to the public! So everyone can use this. By default we have blocked public SSH access and we're using CSF as default firewall. 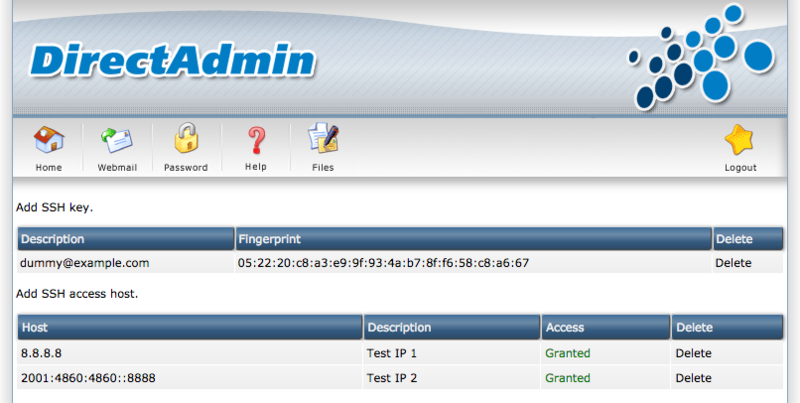 I've integrated CSF so that end-users now can "whitelist" their IP-adresses for SSH access.